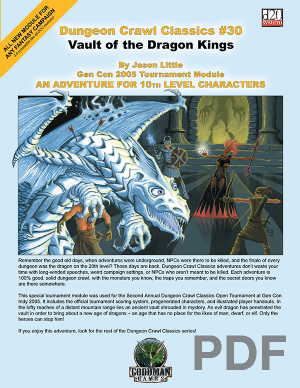 Remember the golden days of role playing, when adventures were underground, NPCs were there to be killed, and the finale of every dungeon was the dragon on the 20th level? Well, those days are back. 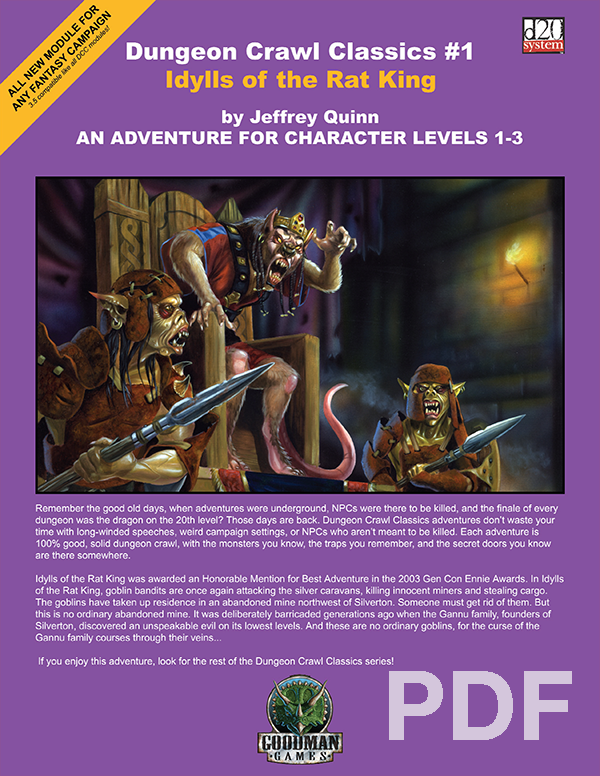 Dungeon Crawl Classics feature bloody combat, intriguing dungeons, and no NPCs who aren’t meant to be killed. Each adventure is 100% good, solid dungeon crawl, with the monsters you know, the traps you fear, and the secret doors you know must be there somewhere. 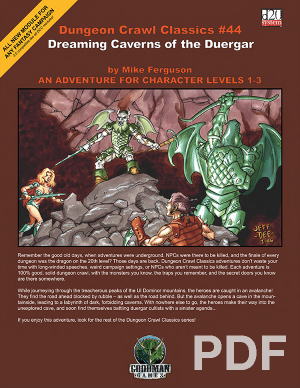 If you enjoy this adventure, be sure to look for the rest of the Dungeon Crawl Classics line! This is only one of many great adventures, such as DCC #5: Aerie of the Crow God, which received a nomination for Best Adventure in the 2004 ENnie Awards. 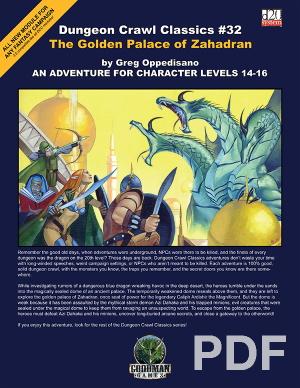 You can find more information at http://www.goodman-games.comIf you enjoy this adventure, be sure to look for the rest of the Dungeon Crawl Classics line! 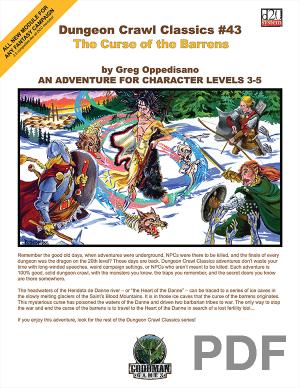 This is only one of many great adventures, such as DCC #5: Aerie of the Crow God, which received a nomination for Best Adventure in the 2004 ENnie Awards.